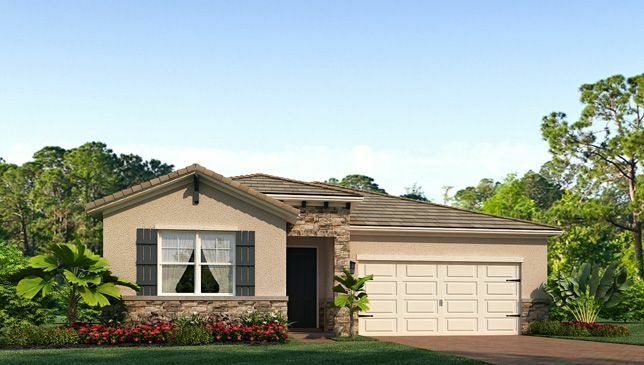 With 7 different floor plans to choose from, Tidewater Pointe offers beautiful single-family homes ranging from 1,641 - 2,986 square feet. Stuart is located on Florida's East Coast, which borders the St. Lucie River and West of the Indian River. Stuart is famed for Sail fishing and all other types of sport fishing. You can enjoy Ocean fishing, river and bay fishing, fresh water fishing. The North and South forks of the St. Lucie River are tropical wonderlands for cruises. Stuart has quaint older neighborhoods and the downtown area a pleasant ambiance, lined with shops and restaurants.